When a professional decides it's time for a job switch, they can signal that they’re open to new opportunities on LinkedIn through Open Candidates or spend some time updating their LinkedIn Profile. 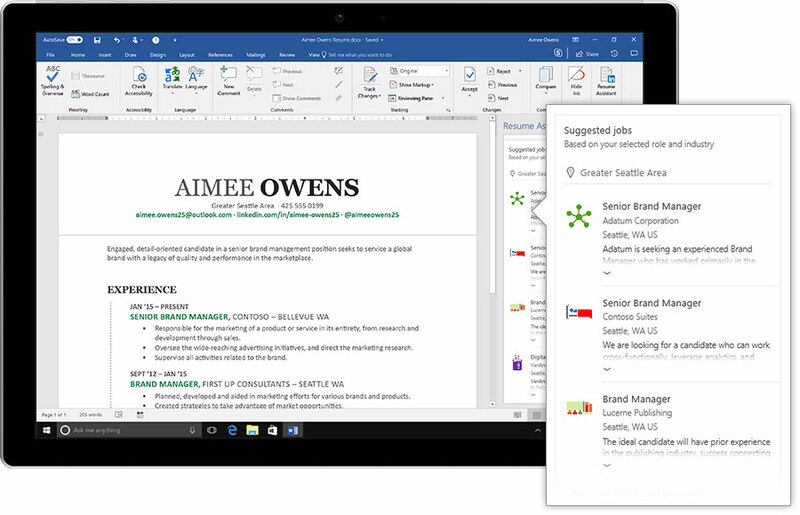 They could also be searching for the right words to update their resume, and that’s why today, we’re announcing that we’re bringing the power of the world's largest professional network directly into Microsoft Word with the launch of Resume Assistant. This feature will bring your jobs on LinkedIn automatically into Microsoft Word, where more than 80% of professionals update their resume, giving you even more ways to reach job seekers earlier in their journey. With Resume Assistant candidates can access your active job postings while they are signaling they’re ready to make a move. 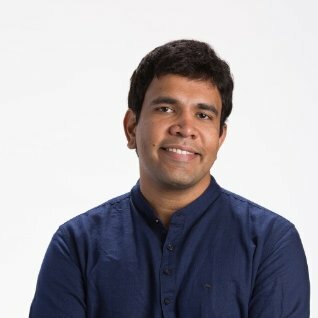 As the user updates their resume within Resume Assistant, machine learning and LinkedIn insights from millions of LinkedIn profiles will provide suggested skills and examples of relevant work experience as inspiration for how to showcase their best work. The user will then see relevant job listings based on their current title, or, if they’ve included a desired role they'll see your active job openings. If they click on your job listing they will be taken directly to LinkedIn where they can learn more and apply. When the user is updating their resume, within Resume Assistant they will also see the option to turn on Open Candidates on LinkedIn. They can then provide a signal to you in Recruiter that they’re open to new opportunities which makes them twice more likely to respond to you. For recruiters, finding a candidate in the earlier stages of the job-seeking journey is the ultimate win, and since launching Open Candidates, more than 10 million members have signaled they are interested in hearing about new opportunities. Resume Assistant will be rolling out to Microsoft Insiders starting today and will be generally available to Microsoft Office 365 subscribers in the coming months. We’re working with Microsoft on a number of exciting features to make this even more useful, so stay tuned.